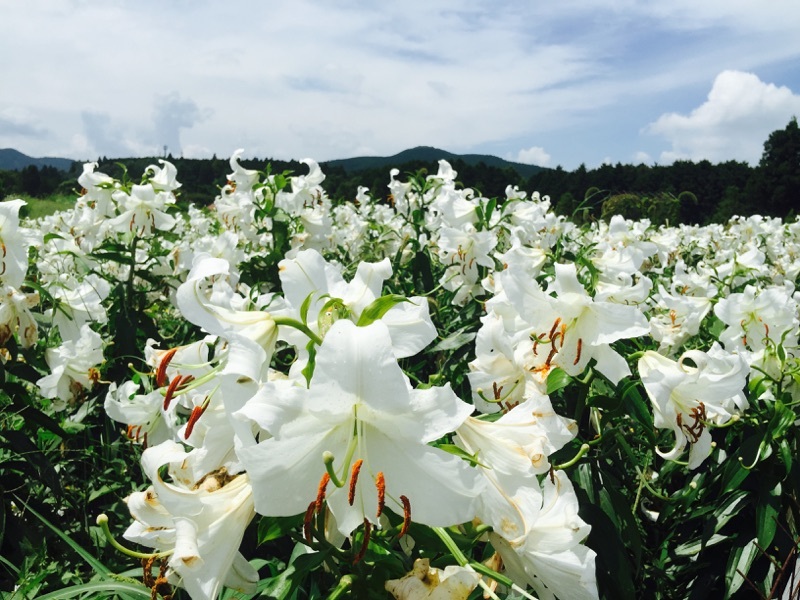 In Menard Aoyama Resort, 500 bulbs of Casa Blanca lily whose buds are an ingredient of new Saranari line are grown for the ornamental purpose from the spring of 2014. Casa Blanca lily is one of the largest flowers among the lilies with sweet and strong aroma and its pure white large flowers make a beautiful contrast with the blue sky. It is called the queen of the lilies and is preferred wedding flower for its noble image. Casa Blanca lilies delight the eyes of many visitors in Menard Aoyama Resort together with the lavender fields.